Chen Cheng-hsiung is the only Asian artist to have been conferred both a Lifetime Achievement in Art Award and a Lorenzo il Magnifico Award in two different years at the Florence Biennale. In 1999 he received both awards for his “Window” series, and in 2001 he was honored again for his “Digital Space” series. Dr. John T. Spike, chairman of the jurors’ committee for the 2001 Florence Biennale, said that no other abstract artist had shown so perfect an artistic conception of today’s digital space through their work. He cited this as the reason that Chen won the awards for a second time. 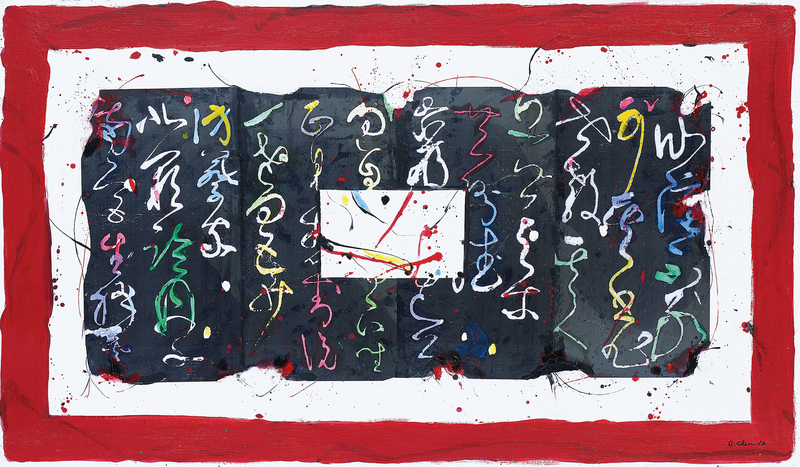 Chen has been working as an abstract artist for over 60 years, since first discovering the art form in his youth. He is now an internationally acclaimed master, and yet not only is abstract painting still his greatest passion, he still strives tirelessly to come up with innovative techniques for his artistic creations. Press the start button on a computer and a floating window icon pops up on the screen. This is the start screen of the Microsoft Windows operating system. Although the graphic is familiar the world over, only in Chen’s eyes did it become a source of inspiration. He further incorporated impressions of the shapes of Russian icon paintings and made use of the calligraphic brush style known as “wild cursive” script. This was the origin of his “Window” series. At the time Chen was already 57. Having observed that human life had entered a virtual space constructed from the most basic numerical elements—zeros and ones—Chen was inspired to create his “Digital Space” series. He divided his canvases into three blocks, two at the top and one across the bottom. The top two blocks were colored in blue and yellow. 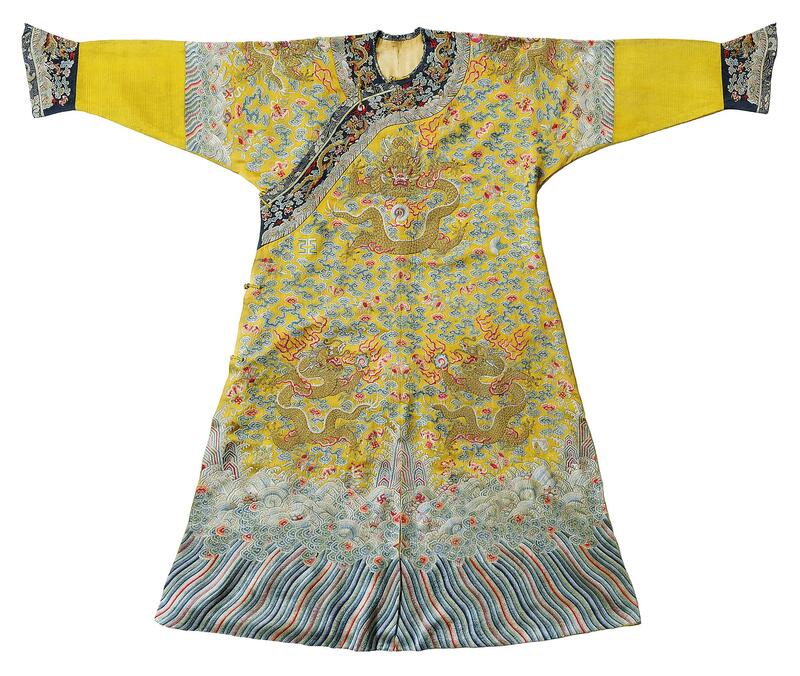 The panel stretching across the bottom featured Chinese calligraphy in the wild cursive style. 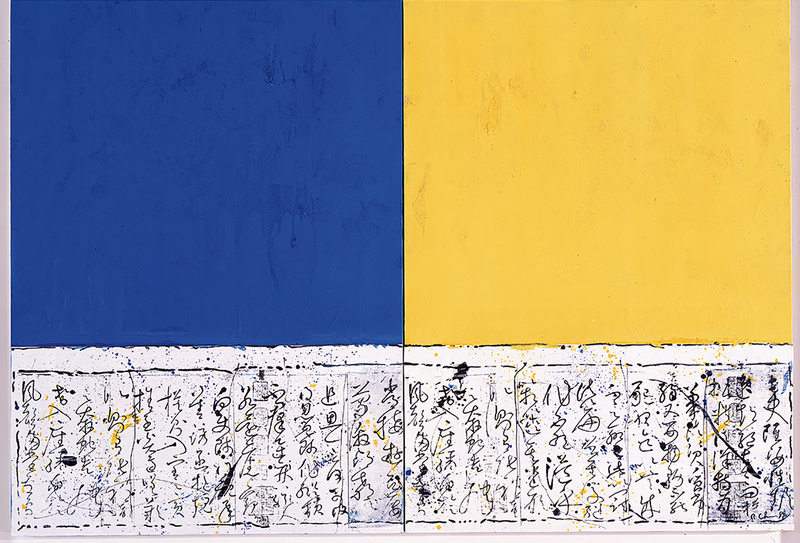 In introducing Chen’s work his biographer, the French-based Chinese author Zu Wei, once explained that the blue represented the ocean and the yellow the land. Together they represent the quantum world in which humans exist. The text and images adorning the lower portion, on the other hand, represent the digital living space. Chen thus captured our digital age with the simplest of abstract elements. The series once again elevated him to the pinnacle of his art form. He was 66 that year. Many artists entering their 60s feel that their reputations are already set, and put away their brushes. But Chen’s paintbrushes still dance on the canvas, keen to the changing times. He mingles his observations with his impressions and feelings, and creates visual representations of his invisible inner world. Now in his 80s, Chen is determined to surpass his past successes, an attitude that reminds us that it is the passion for creation that leads to an extra­ordin­ary artistic career. Chen found success at an early age. In high school his artwork was selected for important art exhibits in Taiwan. In his final year in high school he was planning to study art in Paris, but his father talked him out of it. Instead he enrolled in the economics department at National ­Chung ­Hsing University. Chen, who is fluent in Japanese and English, spent much of his time reading classic academic studies of Western abstract art, including Wassily Kandinsky’s Concerning the Spiritual in Art (1911) and Sir Herbert Read’s A Concise History of Modern Painting (1959). The works gave him a better understanding of abstract painting. Chen longed for the liberating spirit of abstract art and decided that his artistic future would be devoted to its exploration. He was only 23 at the time. Making a career as an artist, however, is no easy thing, so after graduation he took a job working in the USAID office in Taiwan and painted in his free time. In those days there was a large foreign community residing in Taiwan. He was commissioned by a major general in the US military to paint a portrait depicting the American weathering a crisis with unbending resolution. The general loved it, and Chen continued to paint in the abstract style. He later sold paintings to the US and Brazilian ambassadors. At the time the exchange rate was US$1 to NT$48. A single painting could fetch US$300 to $500, the equivalent of a year’s salary for his classmates who worked in banks. Although his paintings fetched high prices, they were purchased mainly by foreign collectors. The domestic art market was not yet well developed. But Chen threw his concerns to the wind, quit his job, and set out to make a living as a professional painter. He was 32. 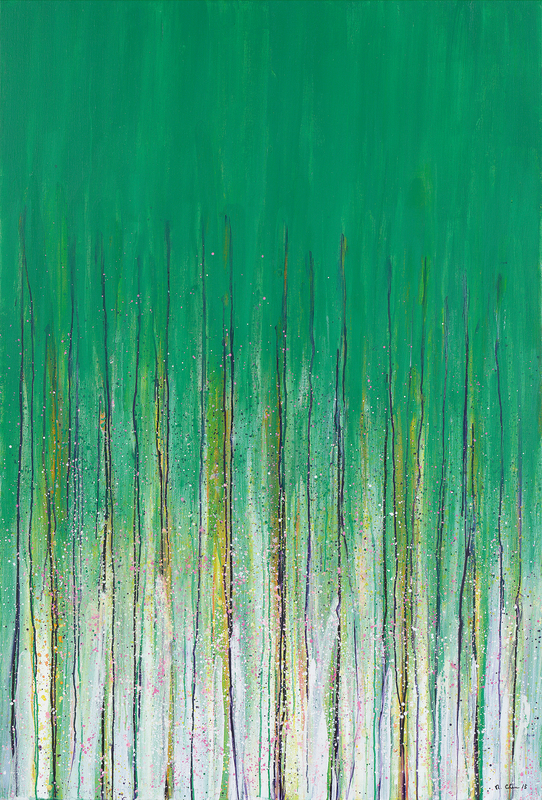 Chen’s abstract paintings are known for their dots, lines, surfaces and bright colors. His paintings feature a riot of colors, and convey a sense of joy to viewers. 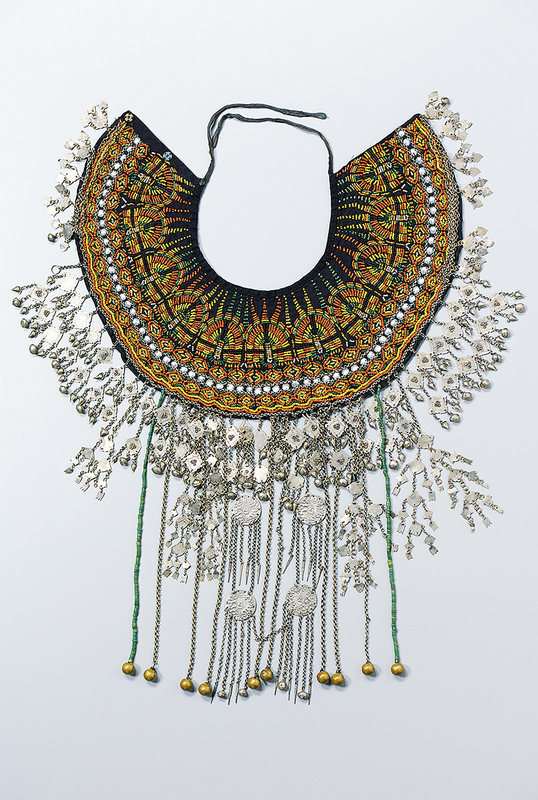 The inspiration for his color schemes comes from his collection of art and artifacts from Taiwan’s Aboriginal peoples. He began collecting at 31 and has been at it for more than a half century. His interest was sparked after accompanying a foreign friend who was purchasing Aboriginal artifacts. Chen bought a few traditional tobacco pipes, and he admired them so much that he became a collector of Aboriginal art himself. Since then he has traveled all over Taiwan visiting various indigenous communities and conducting anthropological studies. Chen was attracted to their bold use of color and unrestrained lust for life. These became elements of Chen’s own painting style. Chen has also wandered across the globe, cultivating friendships with other artists, such as the American abstract painter Sam Francis, French contemporary artist Pierre Alechinsky, and Kumi Su­gai, a Japanese abstract painter living in France. As their friendships grew, they also explored each other’s artistic ideas. 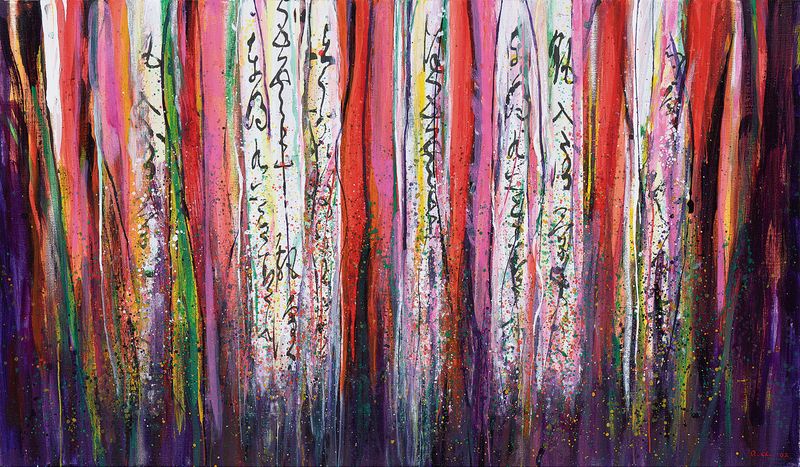 Chen’s varied serendipitous experiences have all become elements of his art. “The artist must establish a personal store of artistic ‘genes,’ and know how to seek out and select novel components from the treasury of alien cultures,” he writes in The Sayings of Chen Cheng-­hsiung on Art. “The utmost artistic ­strategy is the utilization of these materials to create new species of art and works of boundless meaning.” The interaction of those “genes” has driven his career from peak to peak of creative genius. Chen is a different case entirely. He is one of those rare artists who can both paint and express his ideas in writing. In 1965 he wrote “On Abstract Art,” in Wen ­Hsing Magazine. It was the first real examination of abstract art published in Taiwan. Subsequently he published a series of articles in other magazines, including Oriental Magazine and Young Lion Monthly, introducing Western art to local readers. He introduced his collection of Aboriginal art through columns published in the United Daily News and the Independence Evening Post. He has also published his ideas on art in book form, in The Sayings of Chen Cheng-­hsiung on Art. In 2014, Chen received a National Award for Arts from the National Culture and Arts Foundation. This honor recognized the artist’s six decades of creation. But Chen is not done innovating. “As long as I can still paint and my mind is still active, I won’t stop creating new art,” he says. 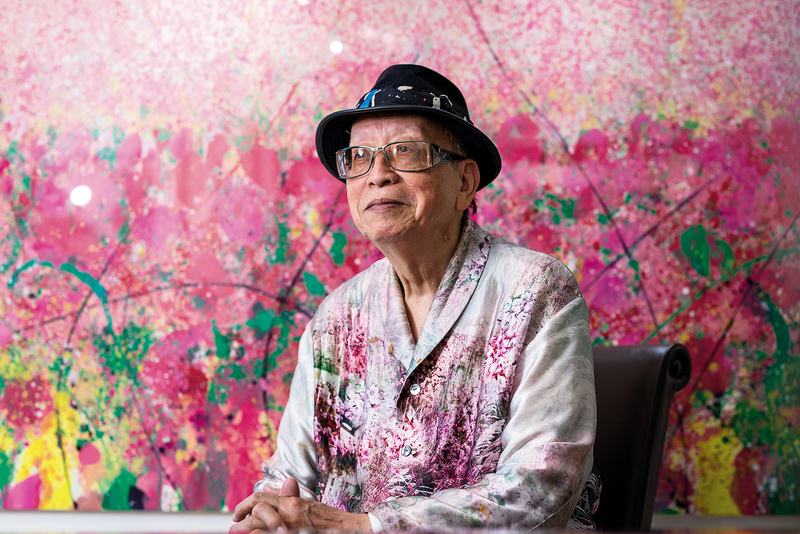 At over 80 years of age, Chen says he hopes to make more money through his art so that he can open an art museum in a downtown location and exhibit his paintings and his collection of Aboriginal artifacts. 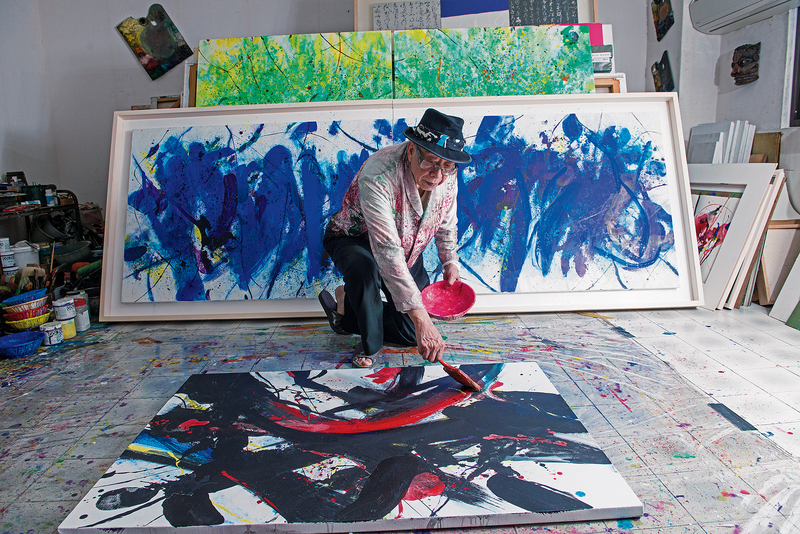 In my notebook, I jotted down the following words, “Joy makes him indefatigable; his enthusiasm has never wavered.” This encapsulates the relentlessly pioneering career of this celebrated Taiwanese abstract painter.